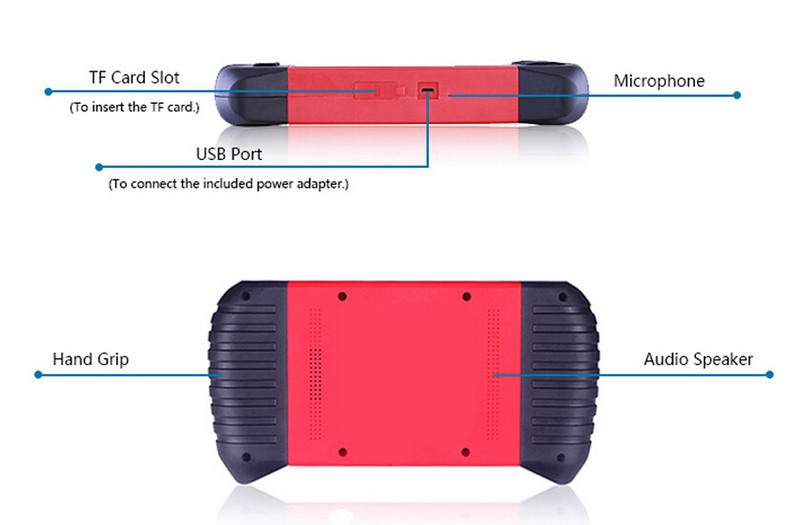 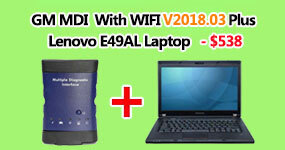 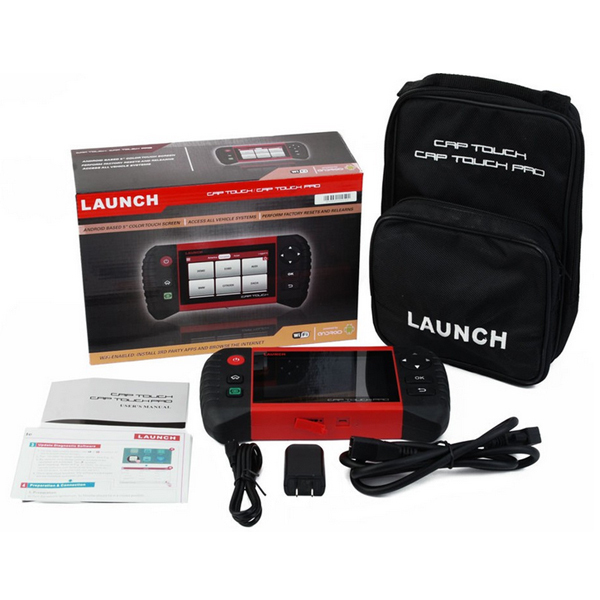 The Launch CRP Touch Pro is a diagnostic scan tool that runs on the Android. 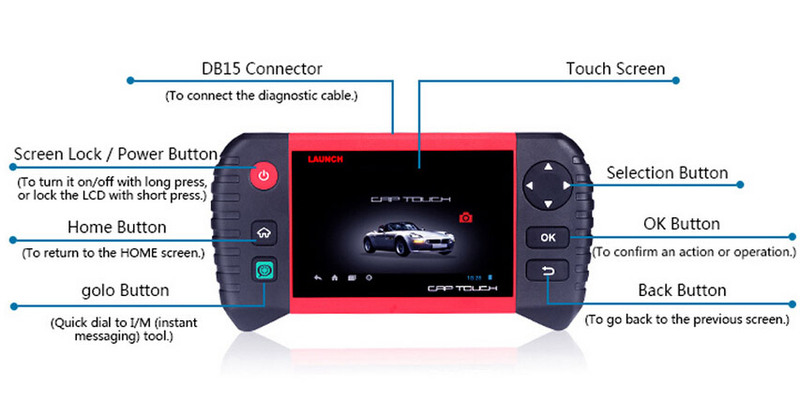 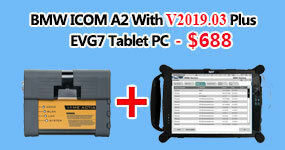 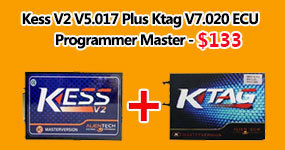 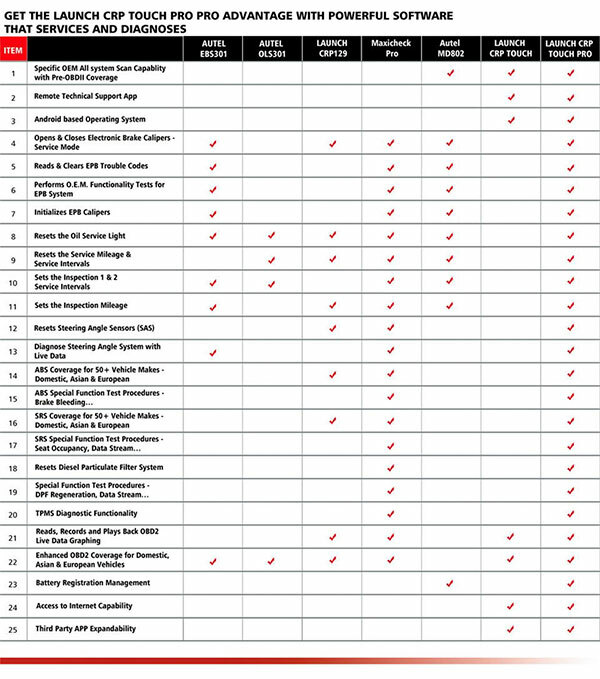 Derived from Launch x431 professional diagnostic platform, this full-function scan tool offers a complete OEM-specific coverage for 76 systems on 46 domestic, Asian and European makes including all software upgrades and instant technical response with the data logging function. 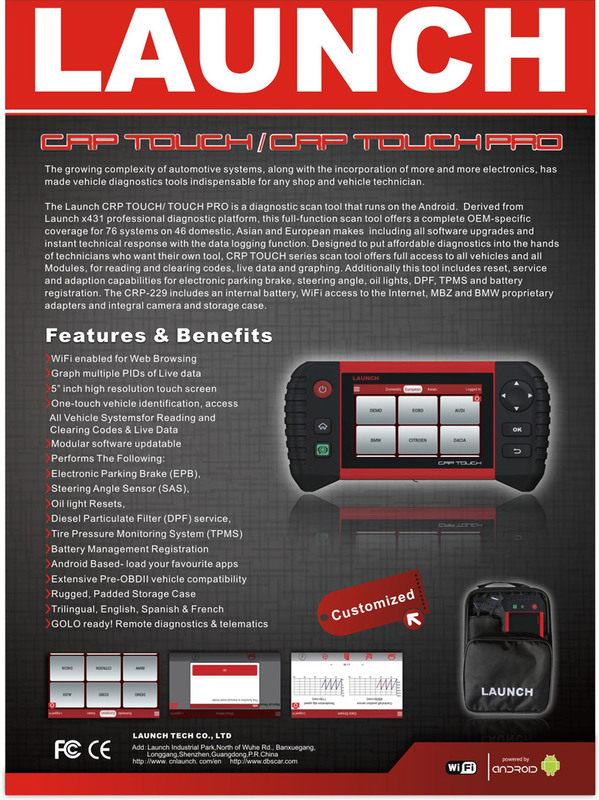 Designed to put affordable diagnostics into the hands of technicians who want their own tool, CRP TOUCH Pro series scan tool offers full access to all vehicles and all Modules, for reading and clearing codes, live data and graphing. 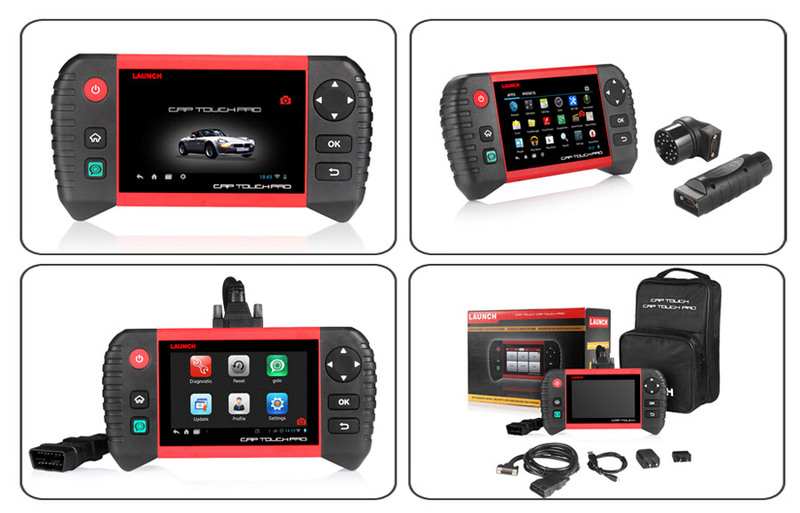 Additionally this tool includes reset, service and adaption capabilities for electronic parking brake, steering angle, oil lights, DPF, TPMS and battery registration. 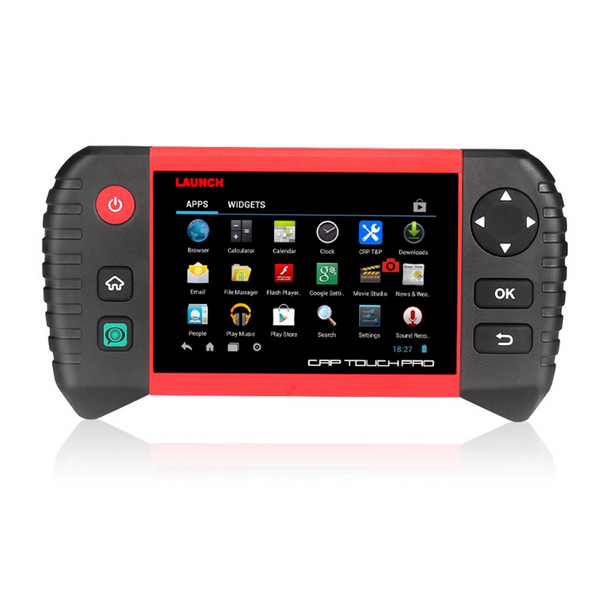 The CRP Touch Pro includes an internal battery, WiFi access to the Internet, MBZ and BMW proprietary adapters and integral camera and storage case.